The Nobel prize may be the most prestigious award for a physicist, but what can $1.2 million get you anymore nowadays, especially if you have to share it with a colleague or two? Physicists: fret no more. Now the most lucrative prize in academia -- the whopping $3 million Fundamental Physics Prize -- has been handed out for the first time. Yuri Milner, a former physics student turned billionaire investor, started the prize to recognize advances in physics, especially theoretical advances that have yet to be corroborated by experiments. While he chose the winners this year, the nine winners from this year, who each received $3 million, will choose recipients in the future. The New York Times has the full story and list of winners, and we have a partial list of the APS members who received the prize. NASA's planetary science program supports projects that explore our solar system's planets, moons, comets and asteroids. The program has led to many fascinating science discoveries and amazing images of our cosmic neighborhood. Unfortunately, the Obama administration's proposed 2013 federal budget currently aims to cut the program's funding by 20 percent. So physicists took action. In events organized by Alan Stern, the Principal Investigator of the New Horizons spacecraft heading to Pluto, planetary scientists across the country sold baked goods, washed cars and shined shoes to "raise money" for the budget earlier this summer. The actions were mostly symbolic, but they truly resonated with me -- a former undergraduate researcher who worked on an instrument aboard New Horizons. In my college town of Boulder, Colorado, Stern and other planetary scientists set up shop near a large pedestrian mall to shine shoes. No doubt, quite a few Boulder residents took notice. Now leaders in Congress have taken notice too. Who Will Win the Ig Nobel Prize? Every year, a deserving physicist (or two or three) earns a free trip to Stockholm, Sweden to receive his or her Nobel Prize for groundbreaking research. Despite the prestige of the Nobel Prize, physicists are willing to shell out their own money to personally accept a lesser-known prize here in the U.S. The Ig Nobel Prize Committee recognizes research that "makes people laugh and then think." Winners have traveled from across the globe to accept their prizes for often ridiculous, seemingly inconsequential research. Past winners have created a wasabi-spraying alarm clock, examined the physics of hula-hooping, and used magnets to levitate a frog. Like the Nobel Prizes, the Ig Nobel Prizes award "excellence" in several categories, including physics. The award ceremony is on September 20th, and tickets go on sale this Wednesday, August 1st. For our impatient readers, we've wrangled some of our best bets for this year's Ig Nobel Prize in physics in an attractive list-based format. 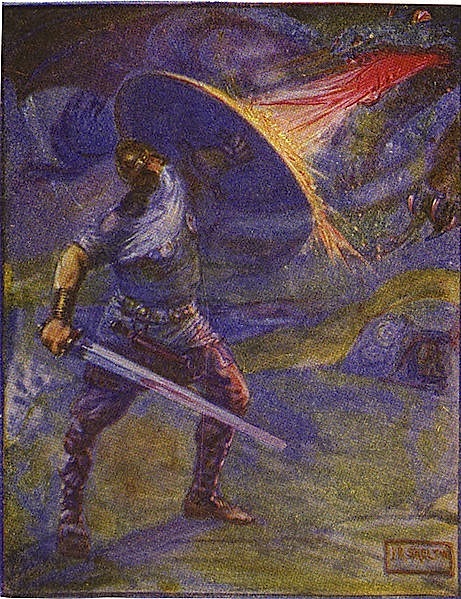 In a soon-to-be-published paper, physicists present an analysis that they claim can tell us which mythical heroes may have been based on real people, and which are entirely made up. It is possible that a man named Achilles really did once sail across a wine-dark sea to his death, and a Nordic warrior named Beowulf really lived and fought, although it is highly unlikely he ever slew a monster. ET, Can You Hear Me Now? Good. Since the advent of radio and television broadcasts, humans have been sending chatter deep into the cosmos, ranging from Orson Welles' War of the Worlds broadcast to the latest Jersey Shore masterpiece. But is anyone out there listening? No one has a definitive answer to that question, but a team of researchers has unraveled what kinds of signals that aliens are most likely to see (we can only hope that Jersey Shore flies under their radar). Additionally, relatively close alien eavesdroppers could detect our signals with a radio telescope as big as one soon to be built on Earth, according to the team's paper on the ArXiv. Ironically, aliens are more likely to see our accidental signals from TV, radio and radar than our intentional, direct messages. So why do these accidental signals survive, and what sort of message, if anything, should we be sending into the unknown? The Arecibo Observatory, where messages to alien worlds have been sent in the past. In this week’s Physics Buzz podcast we take another close look at physics in Hollywood. Something I’ve always wondered is, how do filmmakers balance the needs of telling a story with keeping the science in it as realistic as possible? 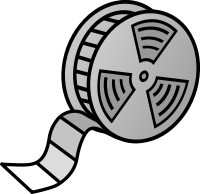 Often, it's a collaborative process between filmmakers and scientists that consult with the industry. Writers, directors, production designers and special effects wizards are always looking for ways to make their films seem more realistic, and scientists have long been happy to help. I can't remember a time I didn't know about Sally Ride. I think every woman can remember a moment growing up when they realized there were careers they wanted to have but "couldn't" because of their gender. For me, I wanted to be a magician (I was 8) but looked around and saw that girls like me were the "lovely assistants" and never the lead so I stopped seeing that as something I could do. But thanks to Dr. Ride, when a young girl has a dream of being an astronaut they will never have a moment like that. Dr. Ride passed away yesterday after a 17-month battle with pancreatic cancer. She was an amazing astronaut, worked tirelessly to encourage girls to love science and was an inspiration to many generations of women. Researching the best techniques for Olympic success. Swimmers are always striving for the best form, but the complicated physics of flowing water has usually meant research lags far behind the latest techniques. Now, new technology is starting to catch up with the needs of swimmers and their coaches, and may help to improve training regimens for the next generation of Olympians. but may eventually help make improvements -- and new world records -- possible. Today's new podcast is titled "Who is Enrico Fermi?" 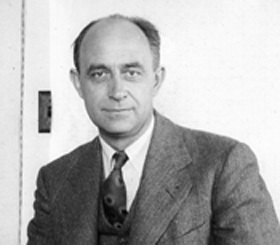 In my short career writing about physics, I've run across the name "Fermi" quite a few times. 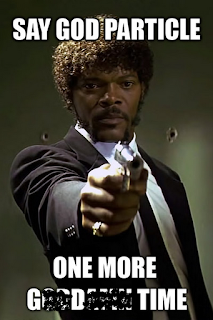 There's Fermilab, fermions, fermium, the Fermi Gamma Ray Space telescope. This Fermi gentleman has quite a legacy. Superheroes, robot warriors and cartoon characters of all types have finally deserted the streets of San Diego, marking the close of Comic-Con International. The Physics Central team was busy all week handing out copies of our Spectra comic books about our original laser superhero. We still found some time to sneak away to a handful of the Comic-Con panels as well, and some of the panels even included some real science talk. In particular, one of my favorite panels was titled, "The Science of Science Fiction: Canon Fodder." Hosted by Phil Plait, the "Bad Astronomer" known for his popular blog, the panel included a mix of science advisers and screenwriters for major television and film projects. Writers for movies including Prometheus, Thor and X-Men First Class explained how they try to accurately portray science, create self-consistent universes for their characters, and tell a great story all at once. It’s possible that the United States could have discovered the Higgs boson first if the Higgs itself was just a little bit lighter or heavier and America’s star particle accelerator wasn’t shut down last year. Instead, the discovery went to CERN, the European physics consortium based in Geneva, Switzerland after America shut off its Tevatron last September. “If we would have been more lucky and the Higgs mass would have been at 115 or 160 GeV instead of 125, we could have discovered it before LHC, or at least produce evidence of it,” said Gregorio Bernardi a physicist at Fermilab. 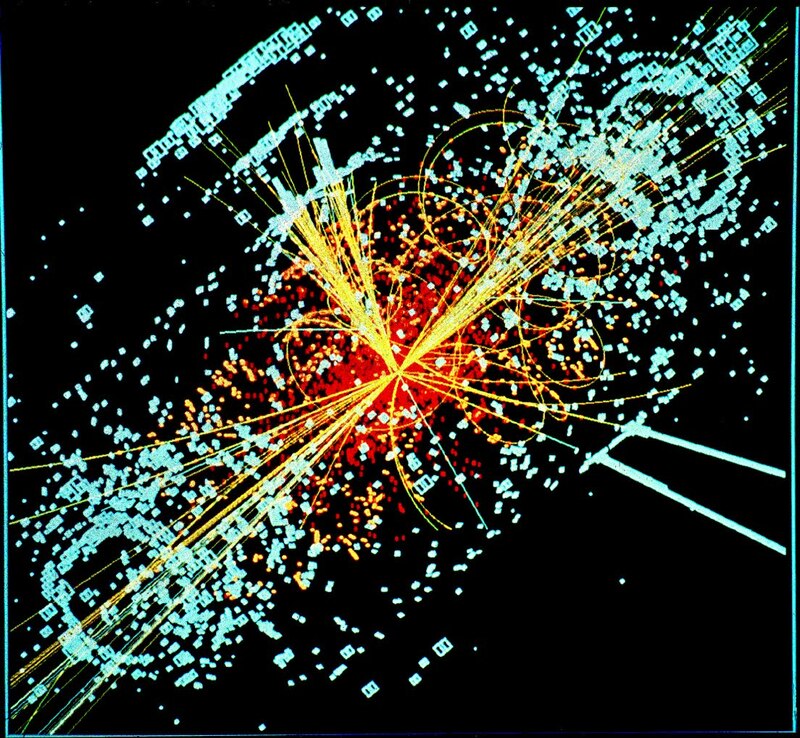 While it may make most physicists cringe, the term "God particle" has gotten way more attention for particle physics than "Higgslike boson" could ever have. The recent announcement out of CERN that the Large Hadron Collider has detected a particle that is very much like the long-sought Higgs was one of the biggest scientific news stories of the last century. But in the physics community, the news comes with a grumbling of regret that Leon Lederman chose to saddle the innocent boson with the name "God Particle" in his best-selling book of the same name. Later this week, the Physics Central Team will descend upon sunny San Diego, California for perhaps the holy grail of nerdy science and science fiction conferences: Comic Con. We'll be handing out free copies of our Spectra comic book series and catching a few of the more science-y panels at the show. Physics and science fiction often make a great match, so we really hope a few Physics Buzz readers will be in attendance. For those adoring fans (we bloggers can dream) who stop by our both, we'll have a special surprise for you! While everyone will be able to pick up our comic books for free, only true fans will get our special swag: a "Flirt Harder: I'm a Physicist" button you can display proudly! As a group of physicists and physics aficionados ourselves, we can sometimes have a little trouble deciphering subtle social cues. 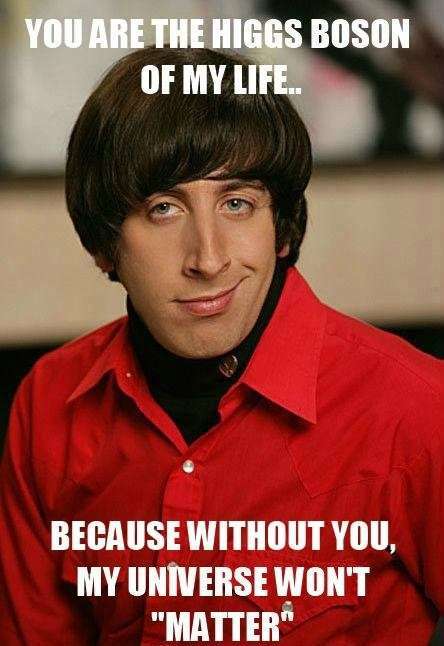 Consequently, we need you to give us your best physics pickup line for your free button (see left for inspiration). First the Higgs, Next Supersymmetry? UPDATE: Hooper and Buckley's paper has been posted to the ArXiv and can be found here. Though the discovery of the Higgs boson is less than a week old, scientists are already looking for the next important discovery to come out of Geneva’s Large Hadron Collider. Since Wednesday, there’s been a flurry of papers posted to the ArXiv digging deep into the released data, looking for hints of new physics. Two researchers at Fermilab may have found just such a clue hidden in the behavior of the Higgs boson. 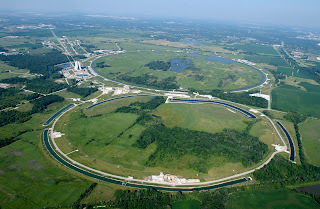 Dan Hooper and Matthew Buckley at Fermilab, write in an upcoming paper that they’ve found evidence of the supersymmetric partner of the top quark in the decays of the Higgs boson. Scientists have been looking for evidence of Supersymmetry in the LHC’s collisions since it started up, but have been stymied so far. Yesterday, CERN scientists announced that they had "clear signs of a new particle," after a lengthy search for confirmation of the Higgs boson. Although scientists don't know how all of the properties of this new particle will match up with theoretical predictions, everyone's excited about this discovery. Researchers from both the CMS and ATLAS experiments emphasized that these were "5-sigma signals," at 125 and 126 GeV for CMS and ATLAS, respectively. But what does a 5-sigma result mean, and why do particle physicists use this as a benchmark for discoveries? 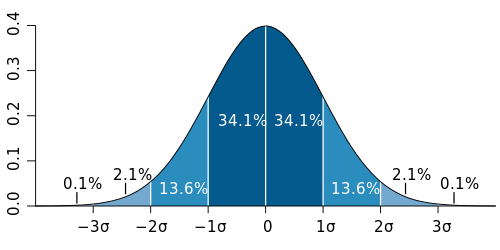 To answer these questions, we'll have to look at one of the statistician's oldest friends and C-student's worst enemies: the normal distribution or bell curve. We've (Almost Certainly) Found the Higgs! With the caution typical of enormous scientific collaborations, CERN has announced that two detector groups have found what appears to be the Higgs particle. The New York Times has a nice piece that gives the details. Leaked and Deleted Higgs Video: A Cause for ConCERN? Although CERN scientists are expected to make a huge Higgs boson announcement at 3:00 AM Eastern Time tomorrow morning, a leaked video suggests they've already found a new particle. In the video that has since been taken down (but uploaded at various news outlets), CMS experiment spokesperson Joe Incandela said, "We have found a new particle." 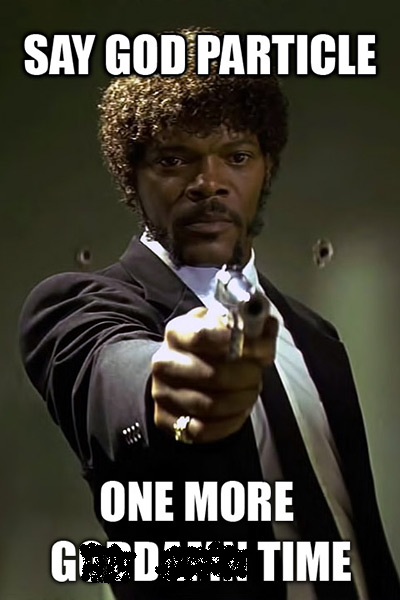 He added that, "This is the most massive such particle that exists, if we confirm all of this, which I think we will." 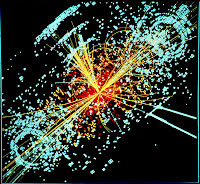 He didn't say decisively if this new particle is the long-sought Higgs boson, and he added that more experiments are needed to ascertain the particle's properties. "And that is very, very significant. This is something that may, in the end, be one of the biggest observations of any new phenomena in our field in the last 30 or 40 years, going way back to the discovery of quarks, for example." While this discovery is very exciting, CERN's accidental leak blamed on "technical problems" – and, more importantly, their responses to the leak – were ridiculous. Right now, CERN spokespeople are telling reporters that this video is "one of several videos that we recorded to cover all our bases," for a variety of hypothetical Higgs announcements. Smells like BS to me. The leaked video, which was dated July 4, via the Telegraph. When I first moved to Washington, DC to join the Physics Central team, I had to quickly find a place to live. Although I was staying with some wonderful hosts who provided a comfy couch, I needed to find an apartment ideally in a safe, affordable and lively neighborhood – no easy task in DC. Safety was one of my top concerns for some of the neighborhoods I surveyed, but reliable and useful information seemed out of reach. I heard plenty of anecdotal evidence about how terrible or tolerable certain neighborhoods were, but I had to take that advice with a grain of salt. The official crime data, which is overlaid on maps online, wasn't very helpful either. Typical crime maps allow the user to see a selection of crimes (e.g. robbery, homicide, and theft) in a small radius for the past 30 days. But these maps don't account for population density, so they don't give the user a good idea of the likelihood of becoming a crime victim in a particular neighborhood. Thankfully, a team of Argentinian physicists has combined population densities and geographic data to create crime cartograms – a much more efficient way to quickly assess a region's safety. A population cartogram of the 2004 U.S. presidential election. Red states voted for George W. Bush; blue states voted for John Kerry; and states are sized relative to their population. Image Courtesy Michael Gastner, Cosma Shalizi, and Mark Newman from the University of Michigan.